Mom's Gone Bronson! 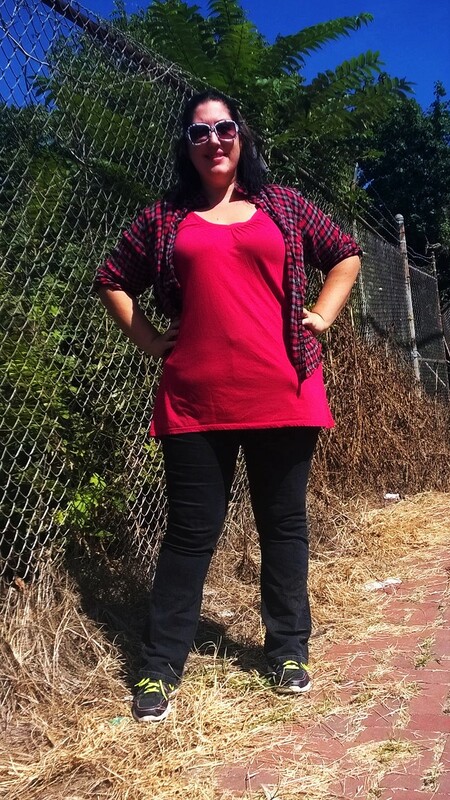 : Nutrisystem, end of week 10! Disclaimer: I was provided with Nutrisystem in exchange for my thoughts and opinions based on my own interaction with the brand and my own results. Your views may differ to mine. Thank you. This week was a slow going week. I didn't lose any weight (still stuck at 268 and change) but that's fine. I am lucky I didn't gain. I put my back out Sunday night and Monday it got worse and worse to the point that I couldn't stand up straight. I've been having problems with my back since I was in my teens and so I am very used to it, but it doesn't mean I am flippant about it - I listen to my body and took a break. I stayed on course with Nutrisystem, but stopped exercising for a few days, while my back got a grip on itself. It is now Thursday and I am feeling 90% better. Phew. 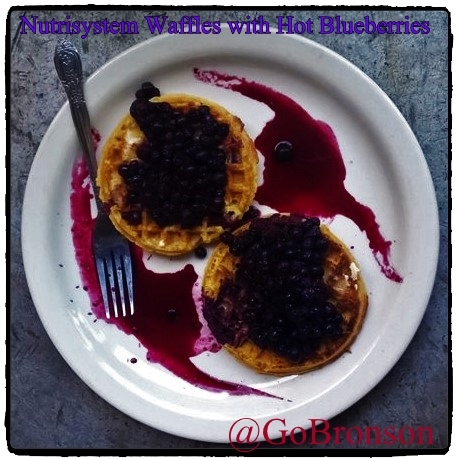 I have been enjoying some great meals this past week, including some hot, cooked blueberries on top of some delicious Nutrisystem waffles, Broccoli and Cheese stuffed Chicken. Hamburger with tomato, lettuce and hot sauce and more. With meals that actually have some taste and color to them, I am always enthused to try more. I never thought that i'd be where I am, today, even just 6 months ago. I was in bad shape and I felt awful. I now have a lot more energy and am definitely more present. I don't have the breathing problems I was starting to have when I was 30lbs heavier either. I found 2 more pairs of jeans and some old shirts in my winter clothes when sorting through them yesterday and they ALL fit again, which is the best news I could have hoped for because this means no huge new fall wardrobe bill this year, either! I am always confident, no matter what my size, but dropping some weight has most definitely boosted that confidence and made me actually realize just how bad of a shape I was in [before I started] and given me drive to get to where I want to be. I would love to lose another 50lbs and then i'd be at a goal weight of 220ish lbs, which is great for a 6 foot tall amazon like me! Here is a photo my 5 year old daughter took of me, yesterday, while waiting for a bus. Nobody likes this angle because it tells a lot of truths. I am strangely comfortable with this angle for that exact same reason - it tells the truth of where I am, right now [with weight] and I love it! I am really looking forward to the next month or so as the weather starts to change and I am able to get my fall clothes out and rock some boots that I have been dying to wear since I bought then mid-summer. I am looking forward to sweaters and pants and cozy clothes and rockin' hats, scarves and my old favorite coat which was a little too snug this time last year and now fits me perfectly. I have gained so much from taking part in Nutrisytem over the last couple of months and know that portion control is going to be something that sticks with me as I continue on my journey. I know what a meal could look like and what a meal really should look like and realize that, in hindsight, I really was eating far too much if i'd wanted to have lost weight, but not enough that my body kept fueled through the day. What I usually do, now, is make sure I take with me all the food I will be eating during the day if we are out all day and I make sure to pack shakes just in case we didn't plan to get caught out all day and something happens. I make sure my body is always hydrated and that it is getting the energy it needs to keep going without hitting a block and just that alone has helped tremendously. I don't think I would go back to drinking beer or anything like that. I don't like it enough to ruin the achievements I have made, and would rather a cheeky red wine now and then with a meal instead - though, honestly, I haven't had a drink of anything since July 1st and really haven't felt like it at all, which is great coming from someone who used to live in a pub (literally, my mother owned one) and who has seen her fair share of booze. I hope that the weight loss trend will continue and that I will start to lose again this week! Until next week, whatever you are doing, do it with a smile! Im thinking about trying this now! !